Let me start this off by saying Eyedea is very special to me. I saw him tear through cats on the Blaze Battle in Chicago in 2000 on HBO. I was immediately drawn to him. Despite not seeing any product from him I knew he was a dope MC and I knew it was only a matter of time. I heard his cut with DJ Abilities called “Now” in 2003 and was blown away. It is truly one of the dopest songs I have ever heard. He takes the fast rapping to a whole other level showing breath control that I think even Twista would envy. He’s done Rock The Bells on several occasions most recently as 2009 and even performs Now on the documentary titled Rock The Bells. When he started his career I saw him and now he has passed away and I know he will be missed. He was a member of the Rhymesayers family and was loved by many in the underground Hip Hop community. Another member of that community is fellow battle legend and former MHz member Copywrite. He did a song yesterday, released it today and I am making it available for download. I am also including my favorite Eyedea and Abilities song “Now” for dowload as well. 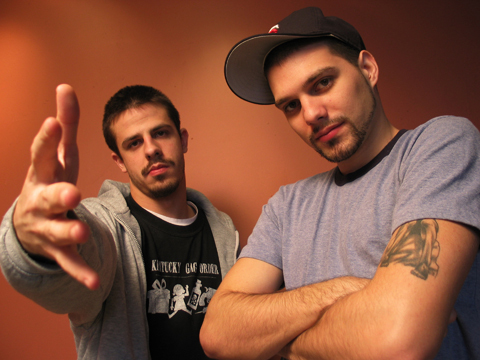 Rest in Peace Eyedea. He was 29 years old. Just click on the titles to download the songs. ~ by Professor Mike on October 18, 2010.